SEARCH is pleased to announce our upcoming Student Professional Development opportunity for September 2017! 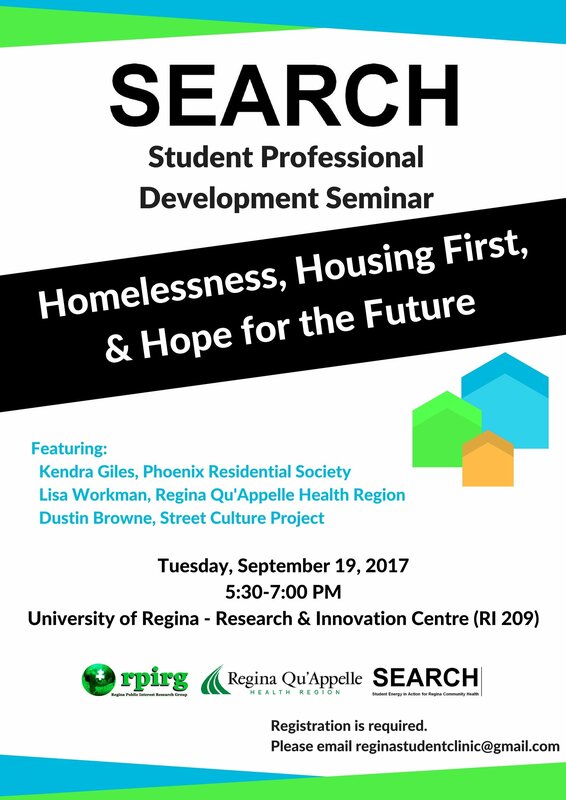 Our next student PD opportunity will be a presentation from a panelist of community leaders that work in the area of homelessness in Regina. All are welcome to attend, but registration is required — please email reginastudentclinic@gmail.com if you wish to take part in this opportunity!